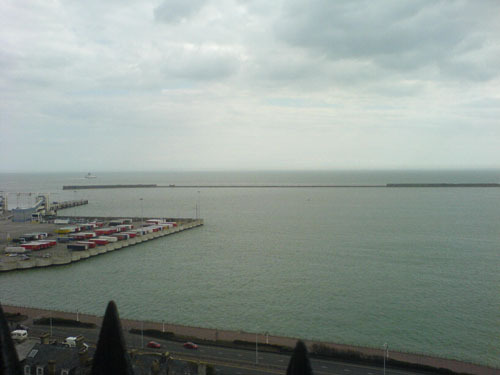 So my dream of seeing where robin hood first lands on the shores of england with morgan freeman at his side was realised finally ..well it was less of a dream and more of a whisper of curiosity .. but alas I went to dover and saw the white cliffs ..well not really .. 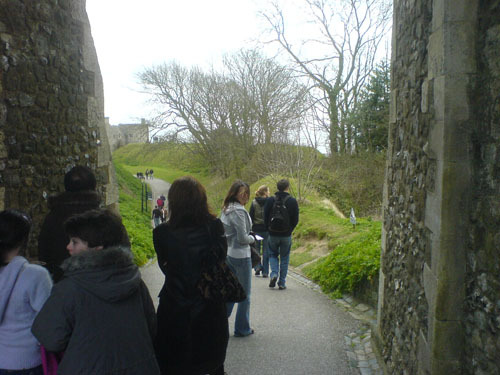 I was a white cliff but instead went to dover castle. which was actually quite exciting. 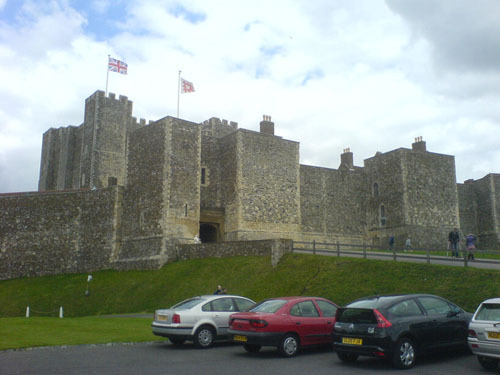 So .. dover castle is actually the first real castle I have been to .. I have come to the conclusion that none of the "castles" I saw in aberdeen counted .. in fact .. they sucked. 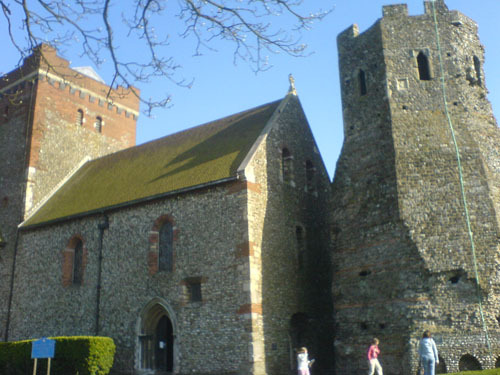 This was a real castle with moats and guns and high uninviting walls and apparently henry the eighth stayed there once and it was built by henry the second ..
this is kara ..all wild with hair going through what seemed to be an entrance to one of the inner keeps. kevin costner eat your heart out .. Anyway the castle was great .. loads of steps ..and I saw my first royal toilet ... well that wasn't exact;y exciting .. it did still smell a bit though, but the views from the top of the castle were amazing. 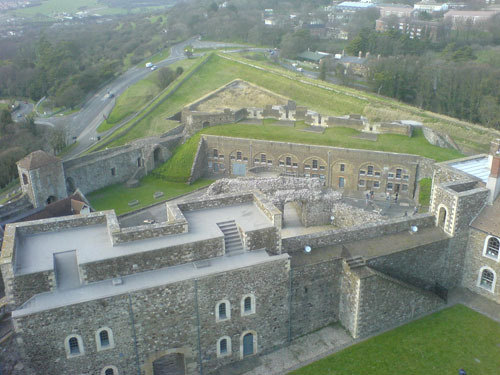 The one you can see below is of the actual casltle .. all the bits are linked by tunnels and in the picture you can see the barracks of ..the army was also stationed there during the second world war I believe. 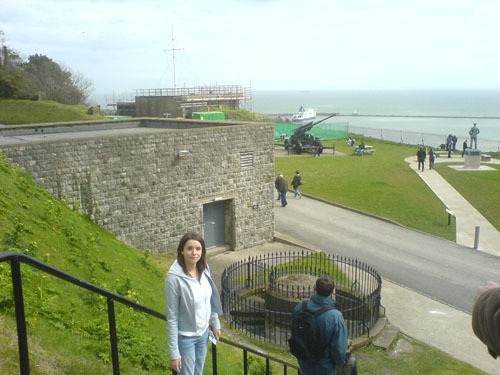 One of the other really cool things about dover was the secret underground tunnels .. this is where the evacuations @ dunkirk were commanded from ..they were first built in the 16 hundreds I think and then commendered for the war effort. There is an intricate network of these tunnels and it was used as a hospital and many other things. 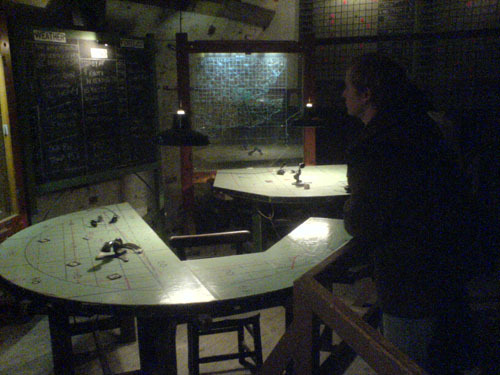 I got a random photo of the war rooms .. but it was just kinda cool to be walking around in them. 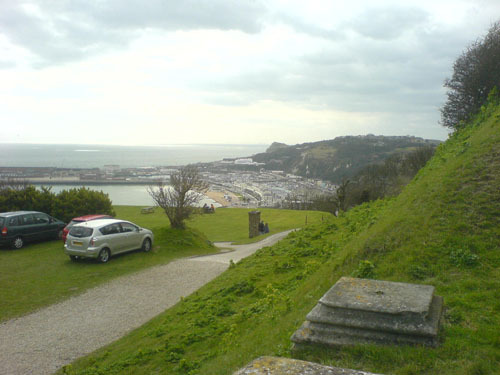 They told us that during the 60s they also converted a part of the tunnels into a nuclear shelter for the government in case of nuclear attack .. however it was only long after they realised that chalk ( why the white cliffs are white) was pourus .. hence was a bit useless as a nuclear shelter. Also as you wander round you can see grafitti from the war .. it is all a bit weird to think that even then people would just put "willy heart edwina" like they were 12. It was a very educational day .and it was good to see kara ..and her boyfriend ed.. they are good people.